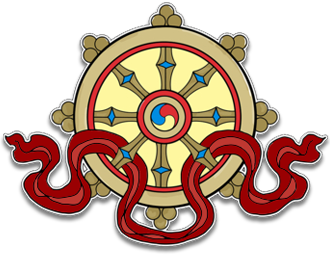 This audio teaching was recorded at Kagyu Samye Dzong Edinburgh on June 27th, 2013. The audio is in mp3 format and runs for 1 hour 42 minutes. 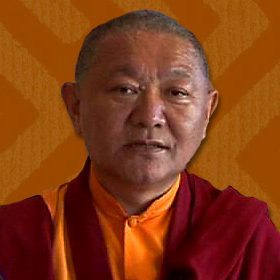 Ringu Tulku Rinpoche is one of the most learned and popular Lamas of our time. His fluent English and direct, accessible style make him much in demand at Dharma Centres around the world. Drawing on his wide knowledge of both the Buddha Dharma and of modern day life in the West, Ringu Tulku Rinpoche illuminates how the timeless teachings of the Buddha are as relevant and needed now as when they were first expounded. Indeed, as modern science starts to explore such ancient Buddhist truths as the interdependence of all things and the concept of begininngless time we can but marvel at the wealth of wisdom available to us through the Buddha’s teachings. However, the essence of knowledge is to apply it. Offering practical advice for living in this high pressure 21st Century, Ringu Tulku Rinpoche explains how to apply Buddha Dharma in our daily life to help us experience a more meaningful, useful and joyful life.